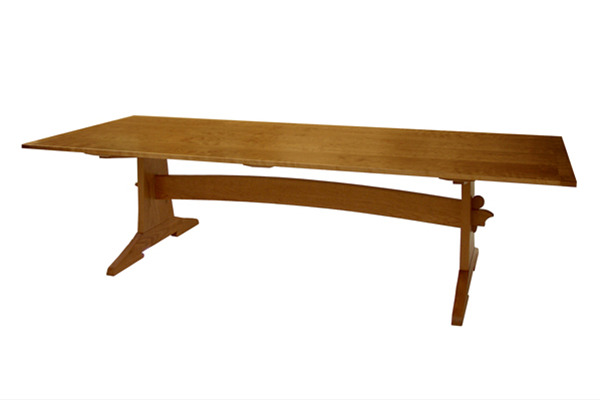 This is a nice long trestle table with an Asian feel. This is actually a second generation table as this client's father helped me design it, and commissioned the original table in 1987. Natural, matched cherry supplied by Irion Lumber in central Pennsylvania. 42" x 96" x 29.5"